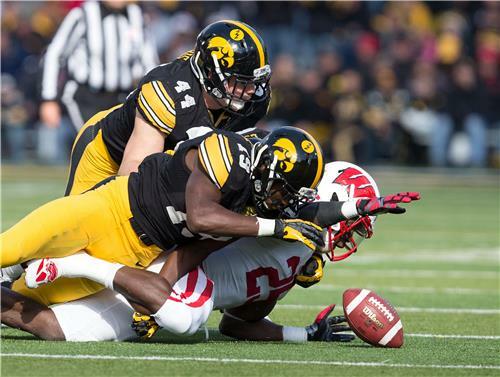 Updates, analysis, photos, and more from our staff at Kinnick Stadium. This is just unreal. How does the same scenario take place every single week? An Ohio State beating Purdue 42-0 in the 2nd. We'll find a way to make it a 10-10 game in the 4th. NASCAR? Really? Its a charade, so who cares? Pretty huge stop there by Kirksey. Could very well be the difference between being down 7-6 and 10-6 at halftime. Wisconsin is kind of hurting at the kicker position. Most un-KF thing he's done in years. KF thought bubble: "Hoody did that once…"
UW kicker Jack Russell is looking for first career FG. And another freeze timeout. 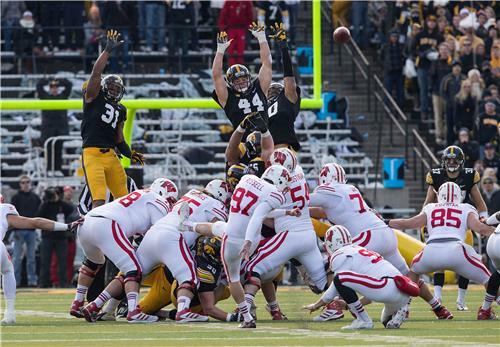 Iowa learned from their mistake last week: Save your timeouts to freeze the kicker! If Wisconsin's kicker makes this 54-yarder, it really makes you question Iowa's first-quarter decision to punt from the 34. 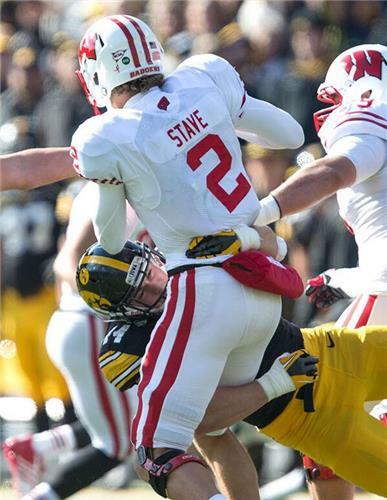 Did Iowa get a hand on that kick? That's pretty funny right there. THat was kind of a D'Antonio move, but all's well that ends well. Iowa field position burn outs and the two penalties within UW's 13 is where Iowa is. Iowa trails at halftime for the first time this year. Wisconsin leads 7-6. I was hoping the halftime show at Iowa would be a salute to Lou Reed. Hate that formation where Iowa splits out the TE and nibbles on the perimeter. Rudock is facing a ton of pressure. Few options there. UW fewest first-half points this season. Iowa averaging just 2.9 yards a carry, but Sconnie just 3.3. Good, close game. Iowa gets ball + the wind to start the 3rd. Hopefully they can hold on in the 4th. Got to get there 1st though. GO HAWKS!! Look at Joby- bringing some optimism in here! That's admirable. I envy you, Joby. I really do. First half photos coming right up. We've got the wind again! Let's run the stretch play. Iowa seems to forget it has the wind at its back this quarter. That was gross. Three-and-out with the wind. Iowa has now gone 90 minutes without a regulation touchdown. Only Wisconsin can beat Wisconsin today. Man City beat Norwich today, 7-0. Norwich must be the Purdue of the Premier League. Teams match 3-and-outs. We are watching "Over the Top," Sylvester Stallone's arm-wrestling movie. Wisky punting into the wind! If we run the stretch play on 1st down I MAY not have a laptop to type on anymore. So, in advance, thanks guys. This has been fun. So, Davis saw something that said that IOWA can run in the 2nd half? 1st down run for Rudock!!! He had Tevaun Smith sooo open over the middle. 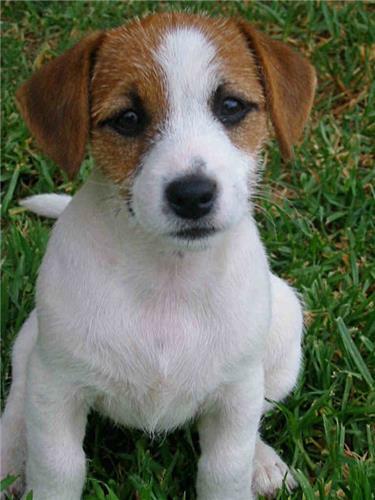 Jake is not crisp today. 1st down pass into Wisky territory! !